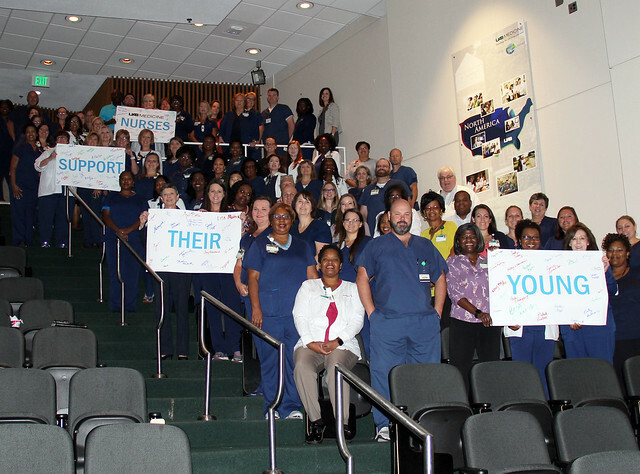 UAB nurse leaders recently discussed how to confront and stop workplace bullying. By joining #NursesSupportTheirYoung, they pledged to reinforce kindness, compassion, and civility in the workplace. Take a moment to consider how you can support those around you, sign the pledge along with us, and don’t be afraid to speak up if you feel that you’ve witnessed bullying or been bullied yourself. Check out our amazing nurses below who pledged to support our young nurses and to create a positive workplace environment.